The pharmaceutical microbiology industry has seen many changes during the progression into the 21st century. With advances in rapid microbiological methods, revisions being made to regulations in the industry, enhanced knowledge of the human microbiome, and novel testing methods, this industry is ever expanding. Mr. Polarine is a senior technical service manager at STERIS Corporation. He has been with STERIS Corporation for eighteen years. His current technical focus is microbial control in cleanrooms and other critical environments. He has lectured in North America, Europe, Middle East, Asia, and Latin America on issues related to cleaning and disinfection in cleanrooms. Mr. Polarine is a frequent industry speaker and published several PDA book chapters and articles related to cleaning and disinfection and contamination control. He is active as co-chair on the PDA’s microbial investigations task force. He was a co-author on PDA’s Technical Report #70 on Cleaning and Disinfection. Mr. Polarine teaches the cleaning and disinfection course module at the PDA Aseptic Processing Course and at the University of Tennessee’s Parenteral Medications Course. Mr. Polarine is currently President Elect for the PDA Missouri Valley and Technical Coordinator for the IEST. Mr. Polarine graduated from the University of Illinois with a Master of Arts in Biology. He previously worked as a clinical research coordinator with the Department of Veterans Affairs in St. Louis, MO and as a biology and microbiology instructor at the University of Illinois. His main hobby is storm chasing and is very active in tornado research and tornado safety. • Environmental classification, microbiological qualification and monitoring of Filling lines with barrier technology considering new GMP regulations. • Contamination control strategies, risk identification and risk assessment to define EM sampling positions and sampling frequency program. David Hussong is the Chief Technical Officer at Eagle Analytical Services (Houston, TX). In addition, David is the chair of the USP Microbiology Expert Committee for the 2015 – 2020 cycle. In 2014, David retired after 30 years with the Food and Drug Administration (FDA). David earned his Ph.D. in microbiology from the University of Maryland at College Park (UMCP). He also was a research microbiologist at UMCP, the US Department of Agriculture and the US Naval Medical Research Institute. Veronika Wills manages the Technical Services group at Associates of Cape Cod, Inc. She joined the team in 2007 and thanks to her strong knowledge of biochemistry, microbiology and immunology, brings an expertise that is vital to ACC customers when it comes to technical support of testing complex samples, Low endotoxin recovery matrixes and troubleshooting of the Bacterial Endotoxins Test at all levels. Veronika speaks frequently at scientific conferences and seminars globally and is an established expert on endotoxin testing. Veronika holds a Master’s Degree in Biochemical Engineering from the Institute of Chemical Technology in Prague, Czech Republic. 12:20 What should a biotechnology company know about microbiology? Dr. Tony Cundell consults with a number of pharmaceutical, consumer health and dietary supplement companies, microbiology instrument manufacturers, contract testing laboratories and sterile compounding pharmacies in the areas of microbial risk assessment, regulatory affairs, and microbiological testing. Prior to November 2013 he worked for Merck Research Laboratories in Summit, New Jersey, as the Senior Principal Scientist in early phase drug development. Earlier in his career, Tony Cundell worked at a director level in Quality Control and Product Development organizations at the New York Blood Center, Lederle Laboratories, Wyeth Pharmaceuticals and Schering-Plough. He is a member of the 2015-2020 U.S.P. Microbiology Committee of Experts where he takes a leadership role in the area of modern microbiology methods, co-chairing the USP Expert Panel that published a stimuli article in the Sept-Oct. 2017 Pharmacopeial Forum entitled The Development of Compendial Rapid Sterility Tests. Tony Cundell chaired the PDA task force responsible for the ground-breaking 2000 Technical Report No. 33 The Development, Validation, and Implementation of New (Rapid) Microbiological Methods. In June 2009, he co-edited with Anthony Fontana a book entitled Water Activity Applications in the Pharmaceutical Industry and contributed two chapters to the book. He was co-chair of the PDA task force responsible for 2014 Technical Report No. 67 Exclusion of Objectionable Microorganisms from Non-Sterile Drug Products. In 2015 he was appointed to the Advisory Committee of Sterile Compounding to the State of Massachusetts Board of Pharmacy. He received the 2016 PDA Martin Van Trieste Pharmaceutical Science Award for outstanding contributions to the advancement of pharmaceutical science. More recently Tony Cundell co-authored a review article entitled Data Integrity in the Microbial Testing in the September-October, 2017 issue of American Pharmaceutical Review. Necessity of using alternative gene sequences for species-level identification in the pharmaceutical industry. Evaluation of alternative gene sequence for species-level resolution in Burkholderia cepacia complex (BCC) and Bacillus cereus group (BCG). Hilary Chan is a Principal Quality Control Scientist in Global Microbiology at Takeda (Shire) and is based out of Lexington, MA. In her current role, Hilary is responsible for leading various technical improvement initiatives related to microbiological issues/contamination control for Takeda (Shire)’s global manufacturing operations. She is a business process owner for environmental monitoring as well as a contamination control community of practice network lead. Hilary has over 18 years of experience in the biotech industry and holds a Bachelor’s degree in Zoology from Colorado State University and a Master’s degree in Biomedical Science from Northeastern University. Steven Wieczorek has nearly 20 years of Biotech Industry Experience in Quality Control Microbiology and Quality Assurance Contamination Control. Steven currently works at Sanofi Therapeutics and is the Associate Director of Quality Control Microbiology. As Head Chair of the Environmental Action Committee Steven has Trended and Assessed Environmental Monitoring and Critical Utility Data ensuring early detection of emerging trends and immediate implementation of remediation activities ensuring patient and product safety, reduced risk of contamination events and product loss. Mr. Kuo brings over 16 years of experience in parenteral manufacturing, with a focus on sterility assurance and environmental monitoring programs. He has led Quality and Technical Services organizations supporting environmental monitoring, aseptic process simulations (media fills), aseptic technique, personnel gowning and hygiene, aseptic interventions, sterile filtration validation, sanitization programs and agent validation, and sterility assurance risk assessments supporting parenteral operations. Dr. Andrew P. Bartko received a B.S. from the University of Pittsburgh in 1997 and a Ph.D. in physical chemistry in 2002. His graduate work consisted of deciphering spatially heterogeneous relaxation dynamics of glass forming systems using novel rotational single molecule microscopy techniques. In 2002, Dr. Bartko joined the Softmatter Nanotechnology and Advanced Spectroscopy Team at Los Alamos National Laboratory where he studied the ultrafast photophysics of semiconducting quantum dots. Dr. Bartko is a senior scientist in Battelle’s Technology Development Group where he contributes to several applied spectroscopy efforts that focus on biological and chemical sensing. He now leads Battelle’s Rapid, Enumerated, Bioidentification System development program. I have worked in the United States Government, academia, and private industry for about 40 years. I hold a Ph.D. in microbiology and have been affiliated with The University of Calgary since 1996. For the last 10 years I have been a Director in the Quality Operations Department of Celgene. I have experience in solid oral product manufacture and testing, API production and testing and Drug Product manufacture and testing. I also have extensive experience in drug product delivery devices especially as they relate to the ocular environment. Matts Ramstorp has been working for more than 30 years with cleanliness and hygiene as a researcher, consultant, and educator. Matts is a Master of Science in Chemical Engineering, Technology Doctor of Applied Biochemistry (Biotechnology) and Professor of Renewable Engineering and Production Hygiene at LTH, Lund University of Technology. Matts has also published a number of books in the field of cleanroom technology. Cleanroom garments, including gloves, have since the beginning of the contamination control period been considered the primary barrier, minimizing particles derived from humans to contaminate the surrounding environment. The development of textile materials and garments have, however, not been highly prioritised during the last 20 years. Furthermore, much of the risk assessment and validation have to a great extent been submitted to the laundry and/or rental companies. The draft Annex 1 (Eudralex, volume 4) is indicating a totally different view in this regard, which will have an enormous impact on the end-user. · Does the end user of cleanroom garments know what they are using and why? Jarrod Murphy has worked the past 17 years at Genentech and is currently a Supervisor overseeing the daily operations of the Quality Control Microbiology lab. He has extensive experience in Disinfectant Efficacy Testing, Product Bioburden Method Suitability Testing, Growth Promotion, Biological Indicators and values Servant Leadership, Lean initiatives and efficiencies. Mr. Murphy graduated from the University of California at Davis with a B.S. in Medical Microbiology and holds a Master’s of Business Administration with an emphasis in Finance from California State University Sacramento. He is most recently a guest lecturer at UC Davis and has previously worked in biotechnology research and development. • Qualitative risk assessment for the traditional culture-based QC microbiological tests requiring contemporaneous verification by the second person. Prof Renate Rosengarten’s career originated from science and research through her work in academia which is for more than 40 years marked by a continuous interest in the infection biology of mycoplasmas, and their detection, prevention and control. Her passion for mycoplasmas took her to the University of Veterinary Medicine Hannover in Germany, the University of Missouri-Columbia in the US, and the Hadassah Medical School of the Hebrew University in Jerusalem, Israel. Since 1996 she is Professor and Chair of Bacteriology and Hygiene at the University of Veterinary Medicine Vienna in Austria. Besides her numerous former functions and activities in organizations and committees, such as President of the International Organization for Mycoplasmology (IOM), President of the Austrian Society for Hygiene, Microbiology and Preventive Medicine (ÖGHMP), and Working Group Leader of the Mycoplasma Task Force of the Parenteral Drug Association (PDA), Prof Rosengarten has long-standing entrepreneur and business experience in the biotech area. She was the Founder and Managing Director of the previous niche market leader Mycosafe Diagnostics which she has in 2014 re-established under the company name Mycoplasma Biosafety Services. Prof Rosengarten started the company in 2004 as a university spin-off and built it from scratch to a technological innovation leader in the area of Industrial and Pharmaceutical Mycoplasmology. In addition to her management and business activities and her academic duties as a lecturer, reviewer, committee and advisory board member, Prof Rosengarten also serves as an independent mycoplasma expert, key opinion leader and consultant for biopharma and biotech companies under her own international brand Mycosafe®. Since its inception in 2006, Dr Versteegen has been the CEO of the International Serum Industry Association, a global life science not-for-profit association. The mission of the Association is to establish, promote and assure compliance with uncompromised standards of excellence and ethics in the business practices of the global animal serum and animal derived products supply industry. The primary focus is on safety and safe use of serum and animal derived products through proper origin traceability, truth in labeling, and appropriate standardization and oversight. Shahram Lavasani holds a PhD degree from Lund University (Sweden), in Medical Inflammation Research where he studied the immunoregulation and novel immunotherapies in multiple sclerosis (MS). He is a skillful immunologist with many years of research expertise on gastrointestinal complications in chronic inflammatory diseases. Focusing on Gut-Brain axis he has pioneered research in MS by demonstrating increased intestinal permeability and design of therapies targeting the gut microbiota. He is the founder of ImmuneBiotech, developed a proprietary lactobacilli library and established careful and multiple selection methods to screen and design formulations for the optimal therapeutic management of the diseases. View details Associates of Cape Cod Sponsors and Exhibitors http://www.acciusa.com/acc/index.html Specializing in chromogenic and turbidimetric reagent technologies, Associates of Cape Cod, Inc. (ACC) has been a leader in endotoxin and (1?3)-ß-D-glucans detection products and services for nearly 45 years. ACC pioneered LAL testing methodology and was the first FDA licensed company to manufacture LAL reagents. View details bioMérieux Sponsors and Exhibitors http://www.biomerieux-usa.com/biopharma bioMérieux, Inc. helps our clients unlock greater value from their organizations with expert consultation and a complete line of diagnostic solutions that enable more rapid, confident results. Clients benefit from improved productivity and profitability by minimizing errors and reducing time to result, as well as brand protection and safer and healthier consumer products. View details Bioscience International Sponsors and Exhibitors http://www.biosci-intl.com The newest generation of SAS microbial air monitors, for ensuring full compliance with ISO 14698, cGMP and other international monitoring guidelines will be displayed. View details BioVigilant Sponsors and Exhibitors http://www.biovigilant.com BioVigilant Instantaneous Microbial Detection™ instruments provide continuous, real-time results for monitoring of air and water. IMD® instruments determine particle size and biological status…simultaneously. No sample preparation or growth required. Visit with us to learn more about protecting your bottom line from the disastrous effects of microbial contamination. View details Charles River Sponsors and Exhibitors http://www.criver.com/microbialsolutions For over 30 years, Charles River has helped customers bring products to market safely and efficiently with revolutionary technologies and exceptional services that have changed the way we conduct microbial quality control. Continuing with a passion to innovate and respond to customers’ needs, our Microbial Solutions group has purposefully expanded its global portfolio to include the leading rapid microbial detection systems of Celsis®. Joining the trusted brands of Endosafe® endotoxin testing and Accugenix® microbial identification, Celsis® creates a powerful trio of micro QC solutions, the most comprehensive offering available from any single provider. View details DuPont Personal Protection Sponsors and Exhibitors http://www.dupont.com/products-and-services/personal-protective-equipment/controlled-environments-apparel-accessories.html For a wide range of industries, processes must be kept clean and uncontaminated. DuPont materials are used to create a variety of clothing for these controlled environments with different levels of comfort, durability, breathability, and protection in a variety of styles, including coveralls, lab coats, gowns, hoods and booties. View details InnovaPrep Sponsors and Exhibitors http://www.innovaprep.com InnovaPrep’s CP Select™ concentrates bacteria, molds, fungal spores, and viruses, including mycoplasma from liquid samples in minutes without incubation or centrifugation. Useful for both RMMs or culture assays. It is an essential tool for improving detection of trace biological and particulate contamination in environmental samples, water, culture media, parenteral fluids, and compounded drugs. 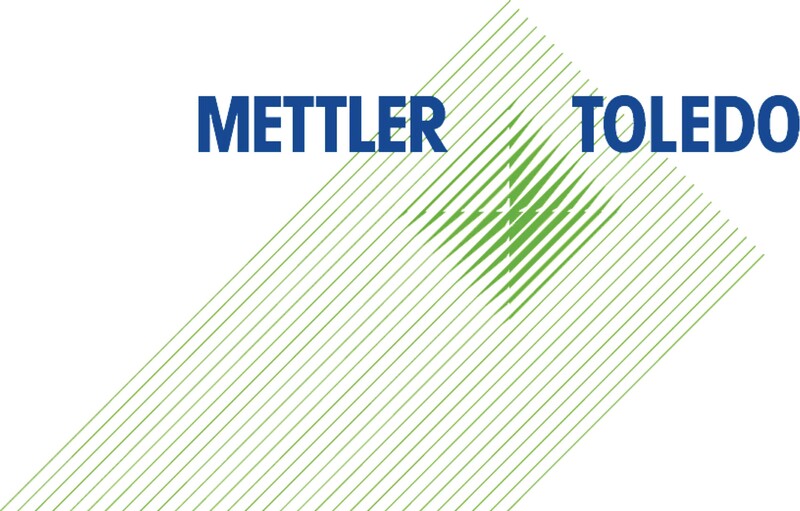 View details METTLER TOLEDO Sponsors and Exhibitors http://www.mt.com METTLER TOLEDO Thornton has a long history of delivering real time, continuous measurement products specifically designed for regulated pharmaceutical water systems such as Conductivity, TOC, and Ozone. The 7000RMS Real time Microbial System instantly detects microbial (bioburden) presence enabling increased sensitivity, better process control, improved product quality, and reduced risk. View details University Of Guelph Sponsors and Exhibitors http://www.AFLuoguelph.ca University of Guelph, Laboratory Services Division, provides multifaceted analytical services within ISO/IEC 17025 accredited facilities. With scientific expertise and many years of experience in microbial ID, the lab provides culture and rapid gene-based services to the pharmaceutical industry to accurately identify and track bacteria, fungi and yeast from environmental monitoring programs. 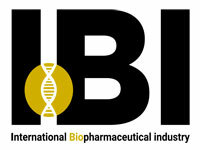 View details IBI - International Biopharmaceutical Industry Supporters http://www.biopharmaceuticalmedia.com IBI - International Biopharmaceutical Industry, provides the biopharmaceutical industry with comprehensive coverage of key scientific, technology, regulatory and business topics. The editorial mix of peer-reviewed papers, practical advice on managing bioprocessing and technology, regulatory and business columns, and expert commentary provides comprehensive coverage of upstream and downstream processing, manufacturing operations, regulations, formulation, scale-up/technology transfer, drug delivery, analytical testing and more. The insight and analysis covers biologic – based therapies including We will report on emerging trends, strategies and best practices in the key areas. View details Journal for Clinical Studies Supporters http://www.jforcs.com JCS – Journal for Clinical Studies is peer reviewed. Supported by a team of industry experts, JCS brings you contemporary and authoritative articles which will guide the industry in the best practice in regulatory issues, market analysis, drug discovery, development, drug design, clinical research, data analysis, safety and efficacy, recruitment and retention, laboratories, analytical testing, custom and contract manufacturing, primary and secondary packaging and logistics and supply chain management. View details Pharmaceutical-Review Supporters http://www.pharmaceutical-review.com Pharmaceutical-review.com is part of Integrated IQ technologies Private Limited(IIQ). A Leading platform for all the Pharma manufacturing companies and buyers across the world.Having a subscriber database of more than 120,000 globally helping the clients to reach their target buyers through our exclusive listing, branding(banner advertisement), e-news letters, e-mail marketing, product reviews, product launch promotions, event marketing, search engine marketing and social media marketing services. Specializing in chromogenic and turbidimetric reagent technologies, Associates of Cape Cod, Inc. (ACC) has been a leader in endotoxin and (1?3)-ß-D-glucans detection products and services for nearly 45 years. ACC pioneered LAL testing methodology and was the first FDA licensed company to manufacture LAL reagents. bioMérieux, Inc. helps our clients unlock greater value from their organizations with expert consultation and a complete line of diagnostic solutions that enable more rapid, confident results. Clients benefit from improved productivity and profitability by minimizing errors and reducing time to result, as well as brand protection and safer and healthier consumer products. The newest generation of SAS microbial air monitors, for ensuring full compliance with ISO 14698, cGMP and other international monitoring guidelines will be displayed. BioVigilant Instantaneous Microbial Detection™ instruments provide continuous, real-time results for monitoring of air and water. IMD® instruments determine particle size and biological status…simultaneously. No sample preparation or growth required. Visit with us to learn more about protecting your bottom line from the disastrous effects of microbial contamination. For over 30 years, Charles River has helped customers bring products to market safely and efficiently with revolutionary technologies and exceptional services that have changed the way we conduct microbial quality control. Continuing with a passion to innovate and respond to customers’ needs, our Microbial Solutions group has purposefully expanded its global portfolio to include the leading rapid microbial detection systems of Celsis®. Joining the trusted brands of Endosafe® endotoxin testing and Accugenix® microbial identification, Celsis® creates a powerful trio of micro QC solutions, the most comprehensive offering available from any single provider. For a wide range of industries, processes must be kept clean and uncontaminated. DuPont materials are used to create a variety of clothing for these controlled environments with different levels of comfort, durability, breathability, and protection in a variety of styles, including coveralls, lab coats, gowns, hoods and booties. InnovaPrep’s CP Select™ concentrates bacteria, molds, fungal spores, and viruses, including mycoplasma from liquid samples in minutes without incubation or centrifugation. Useful for both RMMs or culture assays. It is an essential tool for improving detection of trace biological and particulate contamination in environmental samples, water, culture media, parenteral fluids, and compounded drugs. METTLER TOLEDO Thornton has a long history of delivering real time, continuous measurement products specifically designed for regulated pharmaceutical water systems such as Conductivity, TOC, and Ozone. The 7000RMS Real time Microbial System instantly detects microbial (bioburden) presence enabling increased sensitivity, better process control, improved product quality, and reduced risk. University of Guelph, Laboratory Services Division, provides multifaceted analytical services within ISO/IEC 17025 accredited facilities. With scientific expertise and many years of experience in microbial ID, the lab provides culture and rapid gene-based services to the pharmaceutical industry to accurately identify and track bacteria, fungi and yeast from environmental monitoring programs. JCS – Journal for Clinical Studies is peer reviewed. Supported by a team of industry experts, JCS brings you contemporary and authoritative articles which will guide the industry in the best practice in regulatory issues, market analysis, drug discovery, development, drug design, clinical research, data analysis, safety and efficacy, recruitment and retention, laboratories, analytical testing, custom and contract manufacturing, primary and secondary packaging and logistics and supply chain management. 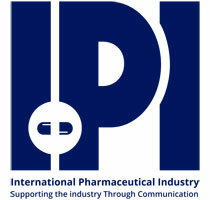 Pharmaceutical-review.com is part of Integrated IQ technologies Private Limited(IIQ). A Leading platform for all the Pharma manufacturing companies and buyers across the world.Having a subscriber database of more than 120,000 globally helping the clients to reach their target buyers through our exclusive listing, branding(banner advertisement), e-news letters, e-mail marketing, product reviews, product launch promotions, event marketing, search engine marketing and social media marketing services. IBI - International Biopharmaceutical Industry, provides the biopharmaceutical industry with comprehensive coverage of key scientific, technology, regulatory and business topics. The editorial mix of peer-reviewed papers, practical advice on managing bioprocessing and technology, regulatory and business columns, and expert commentary provides comprehensive coverage of upstream and downstream processing, manufacturing operations, regulations, formulation, scale-up/technology transfer, drug delivery, analytical testing and more. The insight and analysis covers biologic – based therapies including We will report on emerging trends, strategies and best practices in the key areas.